Have you wanted to learn how to use a sine bar? How to set up and hold a precise angle when milling a part? How to deal with the trigonometry involved with finding the correct spaceblock height for a sinebar or vise? 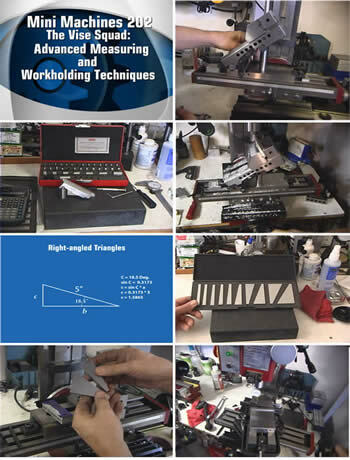 use of precision, Kurt style and Sine vises, as well as sine bars and sine plates. And with the purchase of this Volume, you've also purchased a Single-User License to use the "SineBuddy" Sine bar & Space block calculator included on the DVD! 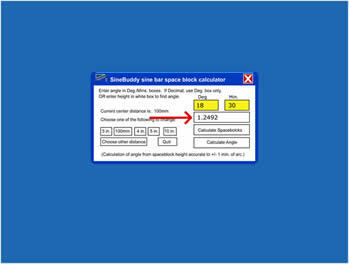 This calculator will take care of the trigonometry involved in calculating angles and spaceblocks!